Welcome to IMEX (Myanmar) Co., Ltd one of the most recognized and established business consulting company in Myanmar. Myanmar is a unique country with a longtime history of practicing a policy of seclusion from rest of the world. 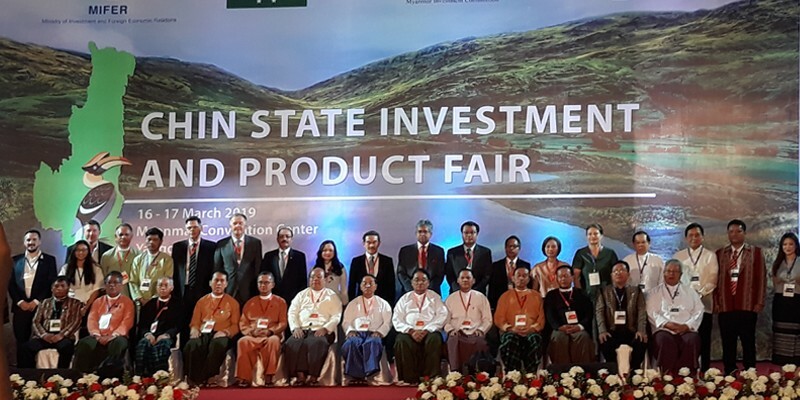 The country is also called as “Asia’s last Frontier” and it is attracting many international firms and companies from all over the world to invest or establish in Myanmar. The economic growth over the recent years has been significantly improved supporting continued GDP growth in Myanmar. 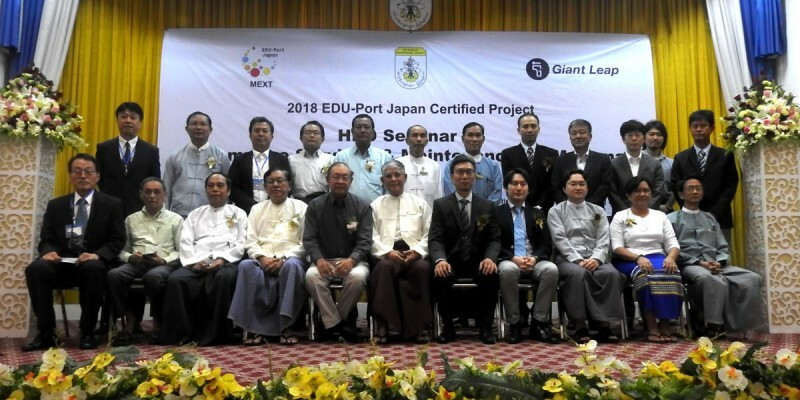 Investing in Infrastructure, buildings, communities and etc., there are many reasons that world has become attracted to Myanmar.IMEX (Myanmar) Co. Ltd. is a pronoun company with officially registered, the world famous, “Walking Finger” logo in the Myanmar Yellow pages to further establish and to proudly contribute in becoming a bridge between Myanmar and the world. IMEX (Myanmar) Co., Ltd. was incorporated in 1993, both the Myanmar Yellow Pages and the Service Mark Logo the ''Walking Fingers" are Registered and Copyrighted. An official press conference was held in August 1994 to highlight on the origins and brief history of the Myanmar Yellow Pages publication. 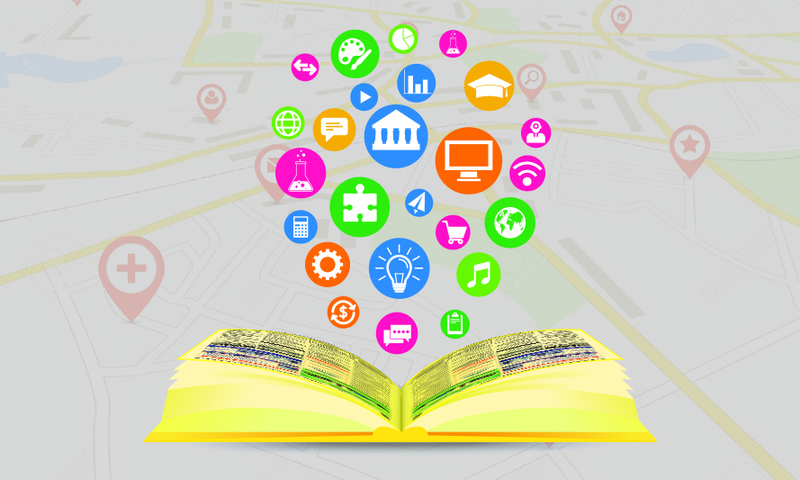 IMEX is therefore the official founder of the Myanmar Yellow Pages. The first print edition of the Myanmar Yellow Pages was published in 1995. 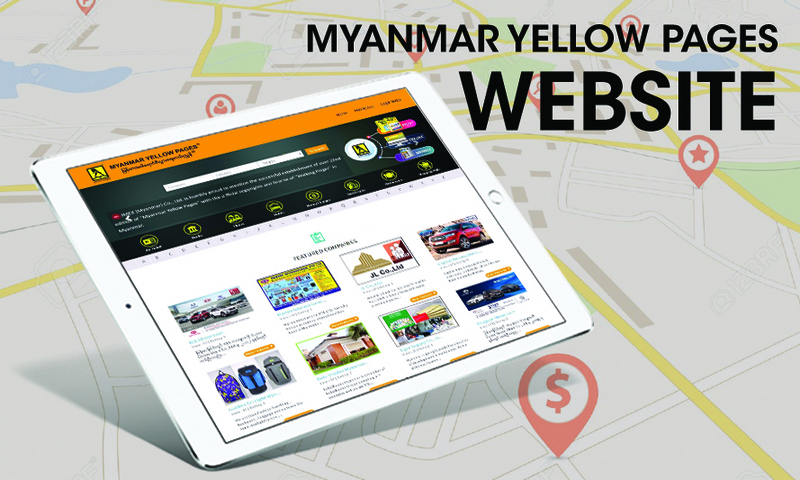 Myanmar Yellow Pages has now moved into the area of Online Business Directory and it is the leader in Myanmar. 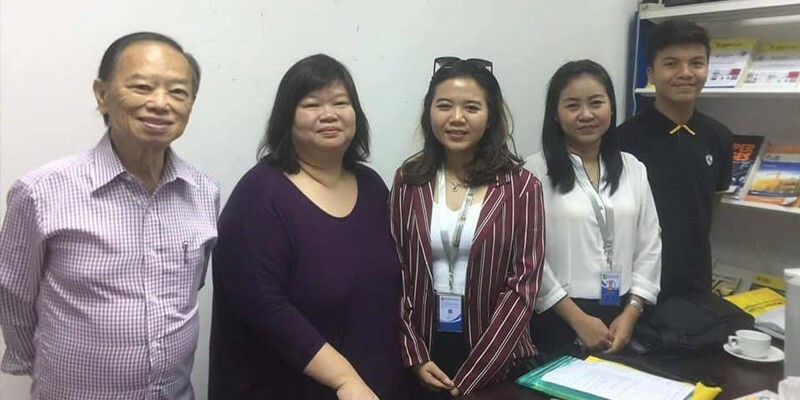 Also, IMEX has introduced the Mobile App to assist clients with instant connectivity to local businesses and this will efficiently provide the services to interested information seekers. Myanmar Yellow Pages was originally founded, the first ever in Myanmar, by the parent company IMEX (Myanmar) Co., Ltd in the year 1993. 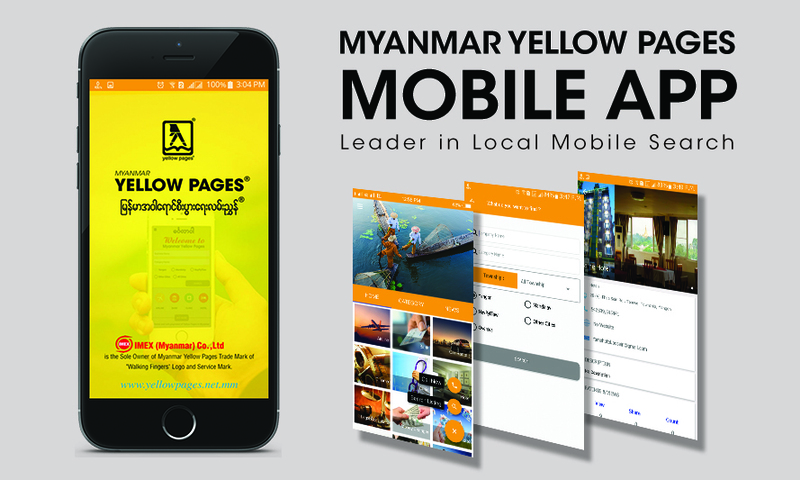 Mobile version of Myanmar Yellow Pages is available on google play store and App store. 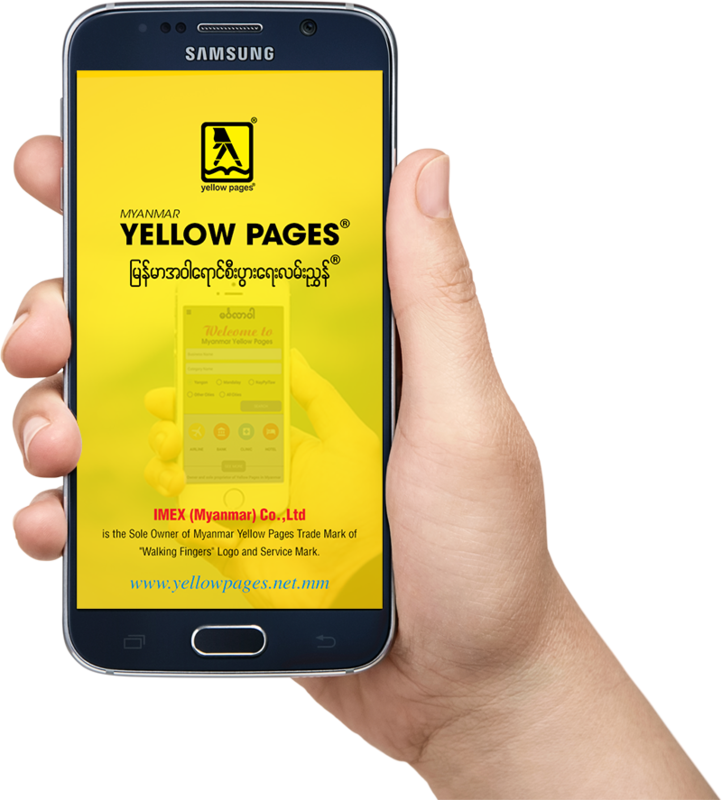 Search for over 100,000 business compaines under 1,000 categories in Myanmar on your phone by using Myanmar Yellow Pages Mobile App. 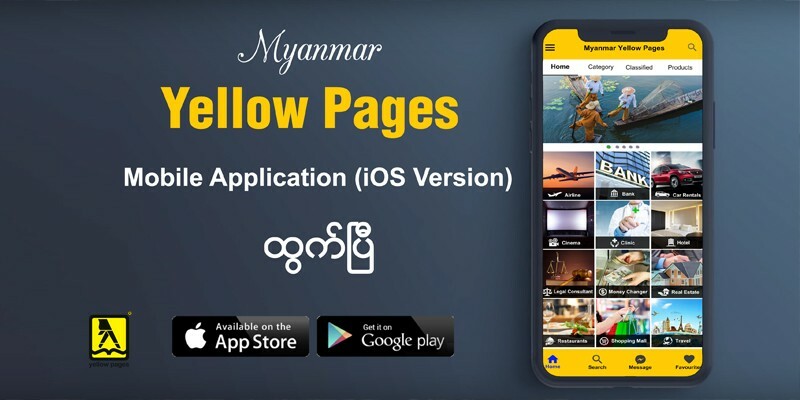 Myanmar Yellow Pages App was created by IMEX (Myanamar) Co., Ltd.
IMEX(Myanmar) Co., Ltd has proudly launched Myanmar Yellow Pages App for Android and IOS to better service clients . . .